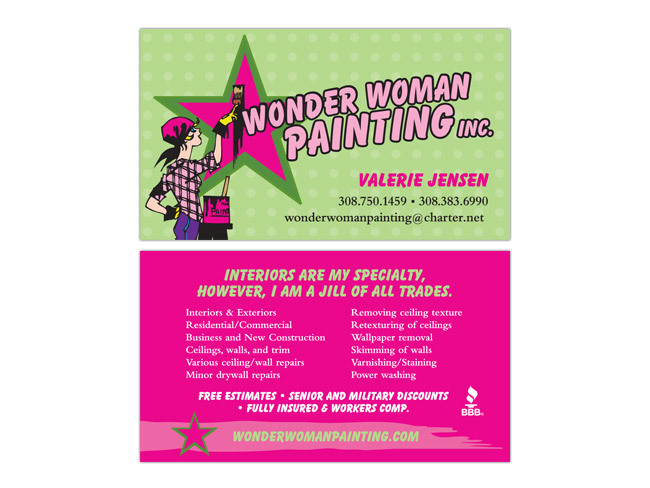 We created these bright and vivid business cards for Wonder Woman Painting. The brand of the company is very eye-catching with bright pink and green colors, bubbly fonts, and an iconic painting woman as the main graphic symbol. We had a great time creating new cards that were organized and easy-to-read so Valerie could use these for new and current clients that she works with.